The West Midlands is building an integrated rail, bus and rapid transit system. Alongside new rail and metro stations, much of this network will be Sprint Bus Rapid Transit, a form of rapid transit for major, high volume routes. Rapid Transit is a limited stop service with dedicated bus lanes which will provide priority for public transport through areas of congestion making journey times more dependable for passengers. The vehicles operating on these routes will offer passengers a level of service and comfort similar to a tram with off-board ticketing, multiple-door boarding, wheelchair and pushchair access, free Wi-Fi, air conditioning as well as on-board audio visual announcements and travel information. By 2026, it is expected that the Sprint network to be made up of seven routes and these will provide links to the two HS2 stations serving the region in Birmingham City Centre and Birmingham International. 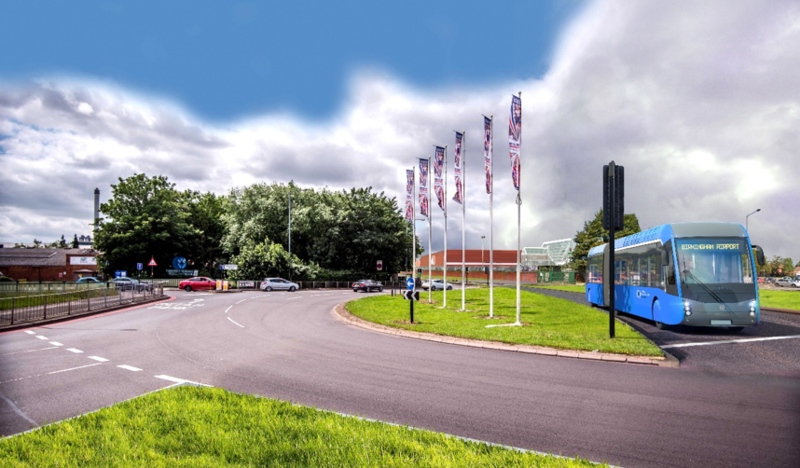 Transport for West Midlands will be holding a public consultation event for the advanced works on Hagley Road. This consultation will take place on Saturday 22nd September 2018, 9am - 3pm, on the High Street, Birmingham City Centre, B4 7SL. You can also take part in the consultation online here www.birminghambeheard.org.uk/economy/sprinthagleyroad. For further information, please visit www.tfwm.org.uk/sprint, and for any enquiries, please email sprintconsult@tfwm.org.uk or phone 0121 214 7321.